Vietnam is amazing and wonderful country with a lot of interesting and imposing destinations for traveling, especially beaches. Therefore, the post will introduce the best beaches in Vietnam. When talking about amazing beaches, Phu Quoc is the best choice for you with imposing beaches, Long Beach is one of them. Long Beach located in the northwest of Phu Quoc Island is a clean, beautiful beach and still very wild. There are nearly 20km of coastline, Long Beach is considered a paradise with golden sunshine, cool water and pristine quiet space, is the ideal place to sunbathe, watch the sunset and swim. In 2008, Long Beach was voted number one among the 13 most beautiful and pristine beaches in the world. One of the brightest candidates for the best beaches on Phu Quoc Island, Sao beach with its beautiful and charming white sandy beaches and tranquil blue water, is a suitable place for kayaking and diving. Sao beach is considered a tourist destination that couples or families love because of their private and quiet space to relax here. Nha Trang Beach is located in Nha Trang Bay, known as the "champion" of the Vietnamese sea and is visited by tourists all over the country and abroad for many years. The most beautiful beach in Vietnam with blue sea, white sand stretches like endless and is one of the 99 most beautiful beaches voted by National Geographic Magazine of the US in the middle of November 2010, Nha Trang beach with The offshore islands are a quiet paradise for tourists to visit and enjoy enjoying the day with only sun, wind and waves. Along the coast of Nha Trang, there is a kite beach for tourists to enjoy. 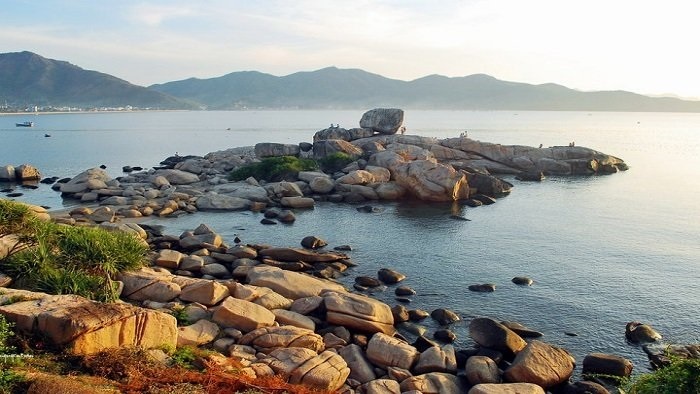 Chong island is the most attractive destination for traveling in Nha Trang city. When visiting the place, tourists will have chance to admire the beauty of big rocks laying on top of each other but the wind, wave and rain could not fall. Located over the sea, the space of Hon Chong is almost separate from the bustling streets. This is considered one of the most beautiful coastal city views. Ho Coc Beach is a pristine area newly exploited with clear blue sea, a large beach area, gentle slopes and is particularly beautiful thanks to the rocks located right in the beach creating the waves of foaming waves white. Many people still like the beauty of Ho Coc beach as a beautiful girl. Therefore, when swimming in the beach, it gives visitors an interesting feeling like being lost in nature, floating in the deep blue water to enjoy the unspoiled mountains and forests. Doc Let beach located in Ninh Hai commune, Ninh Hoa province which is known as the most beautiful beach with white sandy and clean water. The sea here still looks pristine, the sea surface is always soothing and peaceful even in the days with strong winds, so when swimming in there, tourists will have safe and comfortable feeling. Furthermore, natural landscapes on the shore, the sea in front of Doc Let are attractive to tourists. In addition, this place is very close to the famous Van Phong Bay. When visiting Doc Let, besides beach resort, visitors can visit fishing village, salt field, Hon Khoi area, and Hon Heo area. Furthermore, it is also diversified tourist area with various types of entertainment such as swimming pool, hotel, restaurant and etc. 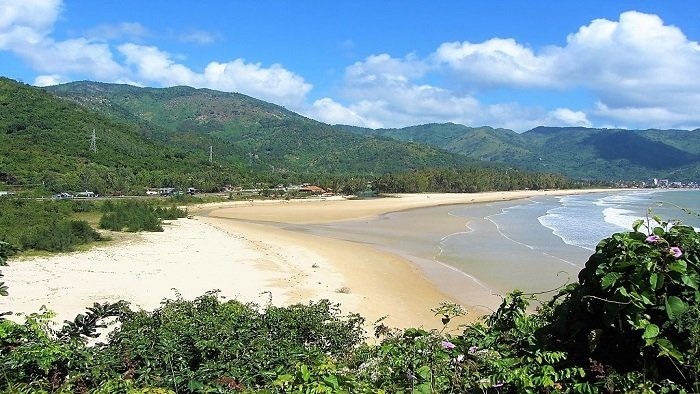 One of the famous beaches in Vietnam in the list of wonderful and “must-see” beaches is Dai Lanh beach. Khanh Hoa is blessed with many beautiful beaches. Unlike Nha Trang, Doc Let, and Bai Dai, Dai Lanh is a quite unspoiled beach, and less affected by humans. 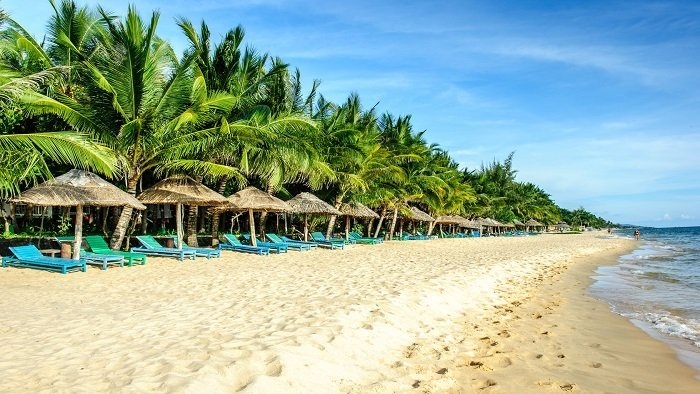 Dai Lanh beach is composed of pure white sand, the clear blue sea which has a clear bottom has great comfort, and tourists can swim far away from the shore. Then there was immediately a source of fresh water flowing out, merging into the sea, all year round. Dai Lanh landscape from the past has been listed as the scenic spots of the country, famous for its fine white sand, waves of whispering waves of the sea, bustling fishing villages and landscapes of aquatic life. My Khe Beach is located on Highway 24B and far 15 km from Quang Ngai Town, 16 km from Dung Quat Port and near Sa Ky Port, in the territory of Co Luy Village, Tinh Khe Commune, Son Tinh District, Quang Ngai Province. My Khe Sea impresses tourists with the tranquility, tranquility of a clear blue beach running 7km long, covered by deep blue poplar forest and crescent-shaped sea palace. In addition to resting and swimming, you also have the opportunity to visit the memorial zone of Son My war zone. Hope that after the post, tourists will have more useful information for traveling to Vietnam, especially finding the best beach for traveling in summer. If you need more information for enjoying a vacation in Vietnam, you don’t forget to visit our website.